The kids had a week off school for spring break. 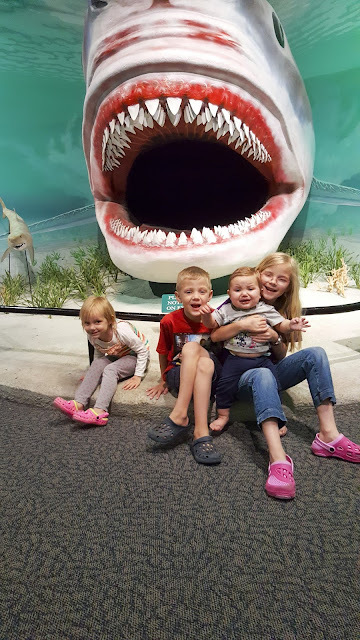 We spent Monday - Thursday visiting various nearby attractions. We visited several sites at Thanksgiving Point. Ashton Gardens were beautiful as always, although there was still a lot of work being done to get ready for their annual tulip festival, which begins at the end of this week. While there we had to visit our favorite spot: the Secret Garden. Seeing it made me want to re-read the book. I haven't read it since I was a little girl. I found an audio version through the library so we've been listening to it in the car all week. Emilia has really enjoyed it. She's the one who reminds me to play it every time we get in the car. The beautiful part is that the book is set during early spring time, as the garden comes back to life. The time couldn't have been any more appropriate. 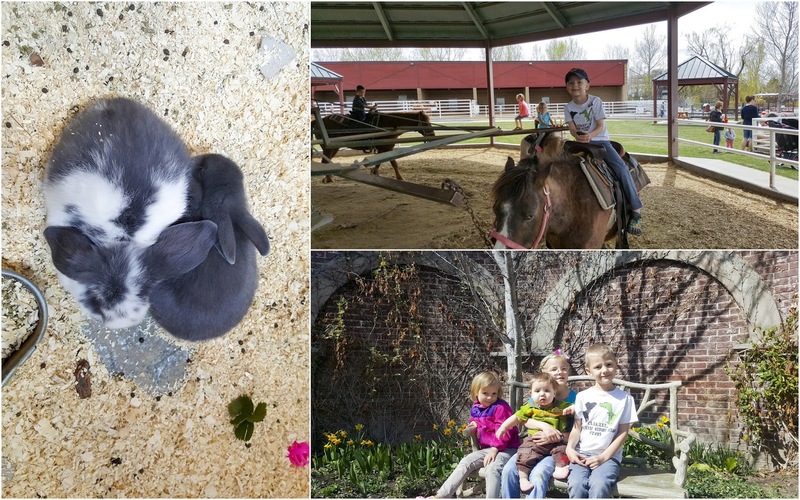 Spring time is also the best time to visit Farm Country. 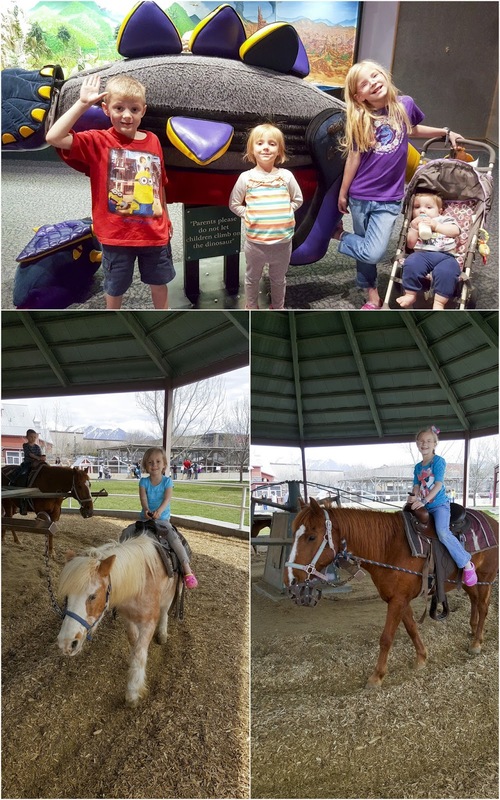 I spent most of my time in line waiting for our turn to ride the ponies, while the kids walked around and looked at the various animals. The cutest thing to see was two baby bunnies cuddling against each other. they were adorable! During a separate trip later in the week we visited the Museum of Ancient Life. The kids enjoyed building their own dinosaur, as well as playing in the water and sand table. Andrew was a trooper through it all. All of the outings disrupted his schedule, but he managed to catch several naps and slept great through the night.